The nights are getting lighter and the days a little longer. Easter is fast approaching and with any luck the easter bunny won’t be far behind. 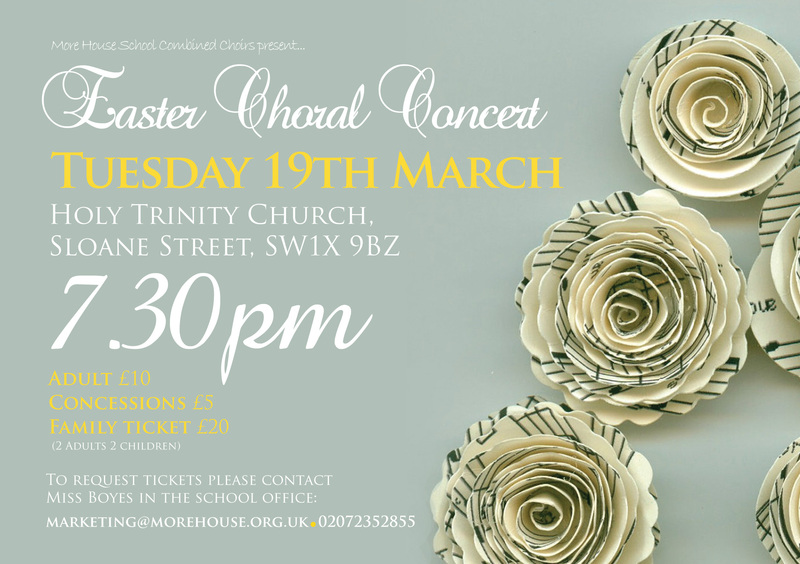 This month, More House invites you to celebrate Easter with us at our annual Choral Concert. Please contact the office to reserve tickets. Hope to see you there!